The waves slapped my legs as I clumsily tried to board the two-layered balsa. 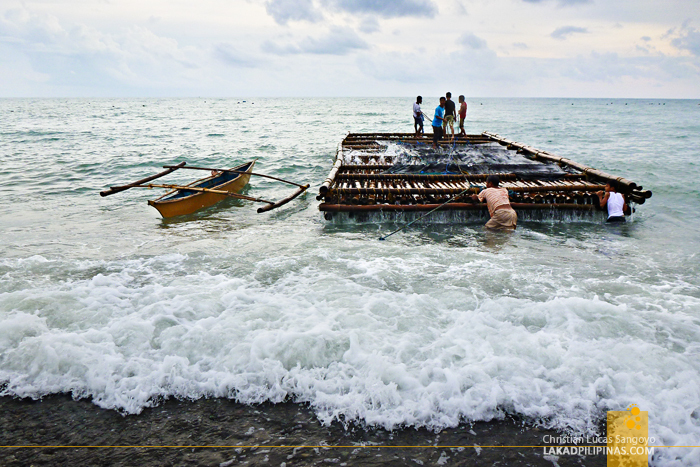 A group of almost twenty persons were already on board the bamboo raft, a mix of tourists and legit fisherfolks outlined against the slowly setting sun. Before the afternoon ends, we got some fishing to do, lambaklad-style. 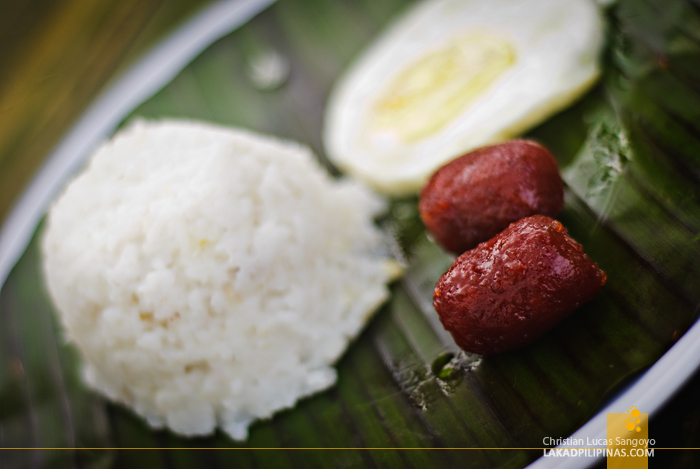 I was ruminating through this experience as I slowly chewed on my morning longsilog meal. We were at the exact same spot along the shore of Barangay Malabor in the town of Tibiao. It was the second day of Antique’s Katahum Tour and so far, it’s been a blast. 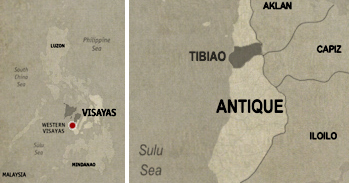 I didn’t expect Antique to hold so much promise when it comes to tourism, being foreshadowed by its more popular neighbors of Kalibo (see Boracay Travel Guide) and Iloilo. My thoughts went back to the previous afternoon. Although the raft only went for about twenty meters from the shore, the ride has been a shaky one. The waves, although not massive, has been unrelenting. The wet and slippery surface of the raft didn’t help either. I silently wished I didn’t bring my camera along with me. But that changed as the fishermen of Malabor started to pull the net, laid some hours before, along the coastal waters of the cove. The folks along this area of Antique have been using this technique for catching fish in the area. 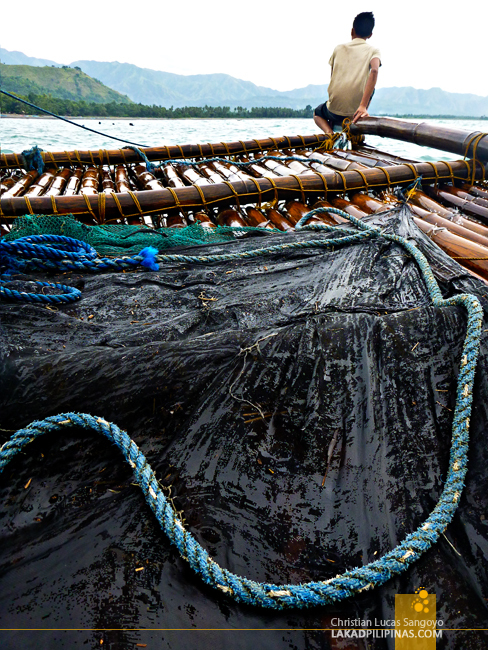 They set a huge net along the waters, a leader blocks the path of migratory fishes passing along the waters of Tibiao, and the fishes goes smack into the netted trap. 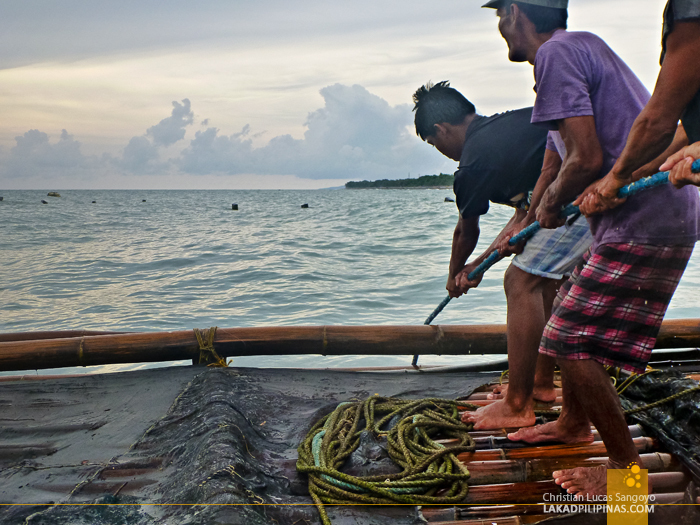 Lambaklad fishing the call it; the term is derived from the words lambat (net) and baklad (fish corral). It takes not a few people to finish hauling in the catch though. Heaving, we helped the fishermen pull in the rope tied to the net. And it is not an easy feat, several of us, slipping along the slick surface of the raft. I’m not even sure if our efforts really helped in hemming in the net, but the locals of course indulged our fancy that we did. Fishes crazily wriggled as the net was at last pulled in into the balsa. It wasn’t as big a catch as everyone was expecting, but it wasn’t bad either. From my vantage, I can see two distinct types of fishes caught—the inch-long silver moonfish and what looks like mackerels along with some jellyfishes scattered here and there. But besides these fishes, Tibiao is also known for being a playground for various migratory marine species. 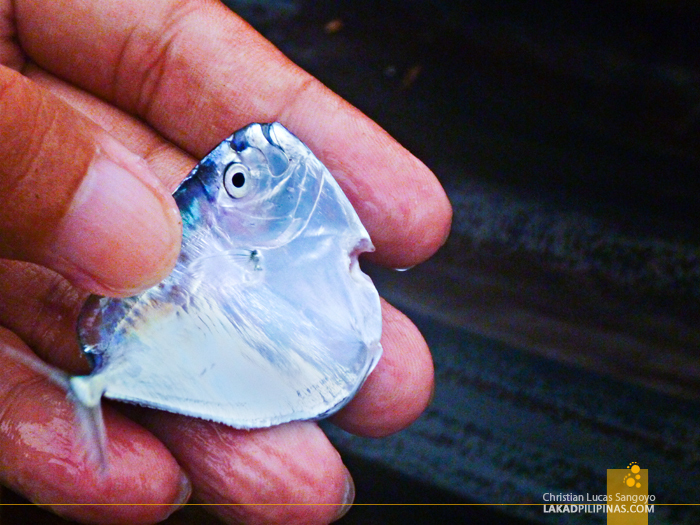 Some lambaklad sessions has yielded huge tunas, swordfishes, scads, caranx, marlins and even manta rays and barracudas. 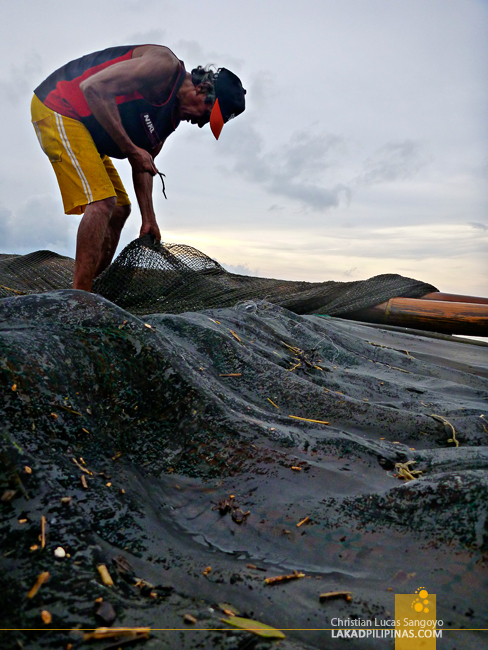 Tibiao’s lambaklad fishing is one of the town’s main livelihoods. But with the advent of tourism slowly seeping in to the province, it’s also becoming one of the most sought after experiences when visiting Antique. 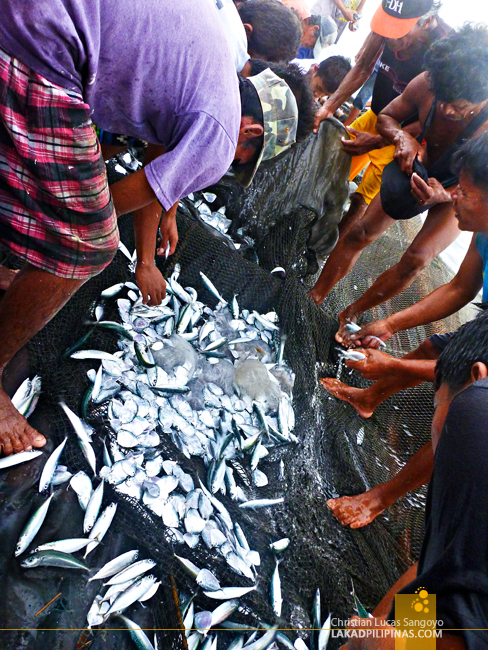 A win-win situation for the fisherfolks of Barangay Malabor. 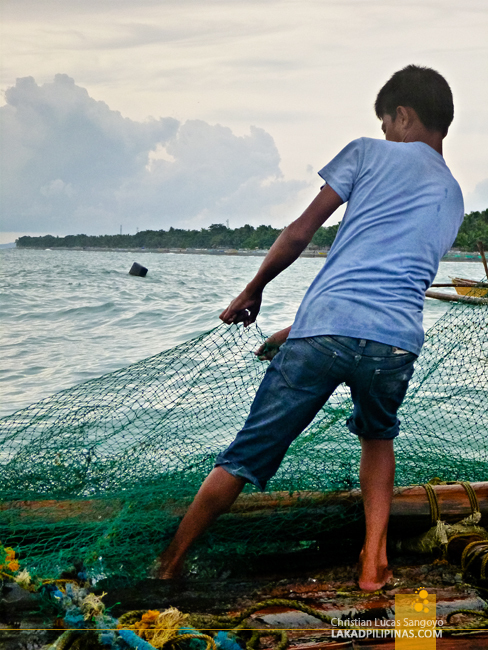 For even with a thin catch, they still get to earn a few more pesos from city folks wanting to experience just how it is to be a lambaklad fisherman even for a few hours.